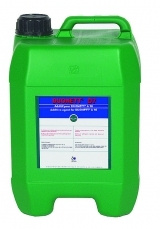 DUONETT® D7 is easily biodegradable, and much easier to use than traditional acid products and without posing any risk to the user. It is available in of cans of 5 or 20 Litres or in a drum of 225 Litres. 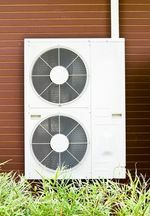 Greenway® Neo Heat Pump is a READY-TO-USE heat transfer fluid based on 1,3 PROPANEDIOL and corrosion inhibitors, particularly suitable for geothermal ground source and aerothermal Air/Water heat pump systems. Ready-to-use Bio PDO based fluid for refrigeration, air conditioning, and fire extinguishing system circuits, as well as under-floor heating/cooling circuits. Betaine based product supplied ready for use in refrigeration installations. Ready for use in air conditioning systems. Non-toxic, water and betaine based. Acetate and potassium formate based product, supplied ready to use.